Durable powder coated gray finish. Ships fully assembled and ready for immediate use. 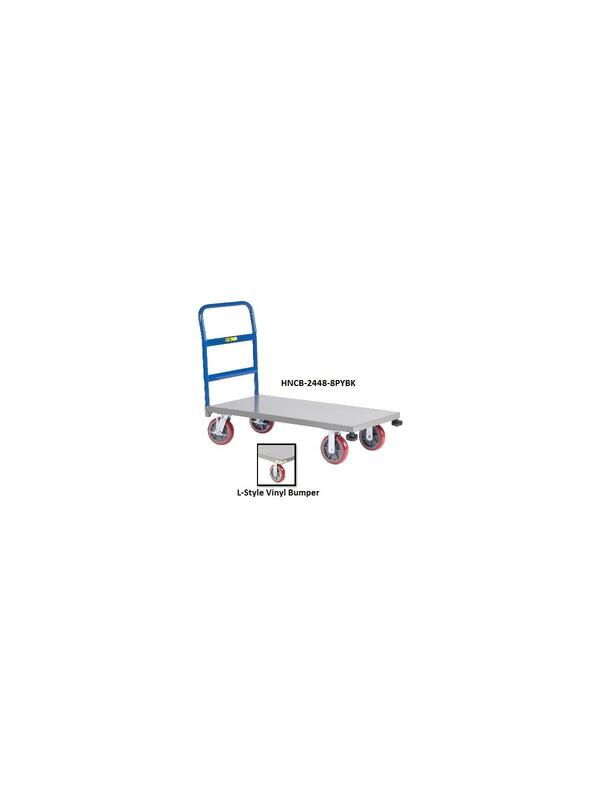 Heavy-duty formed 12 gauge steel deck with extra underside reinforcements. 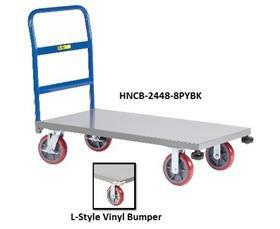 Choice of 2 different corner bumper options, rolling bumpers or L-style vinyl corner bumpers. Both offer great wall and door protection. Removable pipe handle is 1-5/16" O.D. and has two cross braces to help retain load. 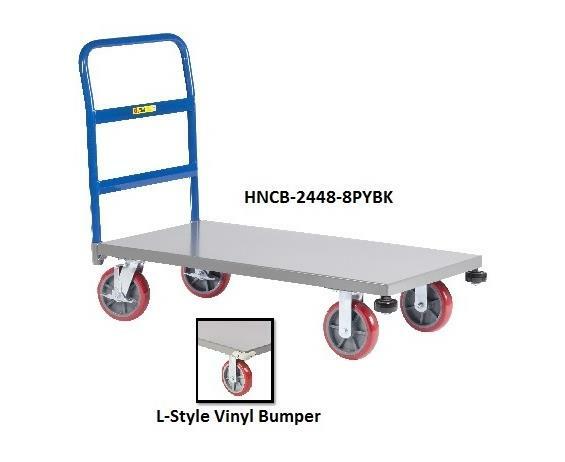 Two rigid and two swivel 8" non-marking polyurethane casters with wheel brakes. FOB Shipping Point.